Recently I made guest favors for a wedding shower. 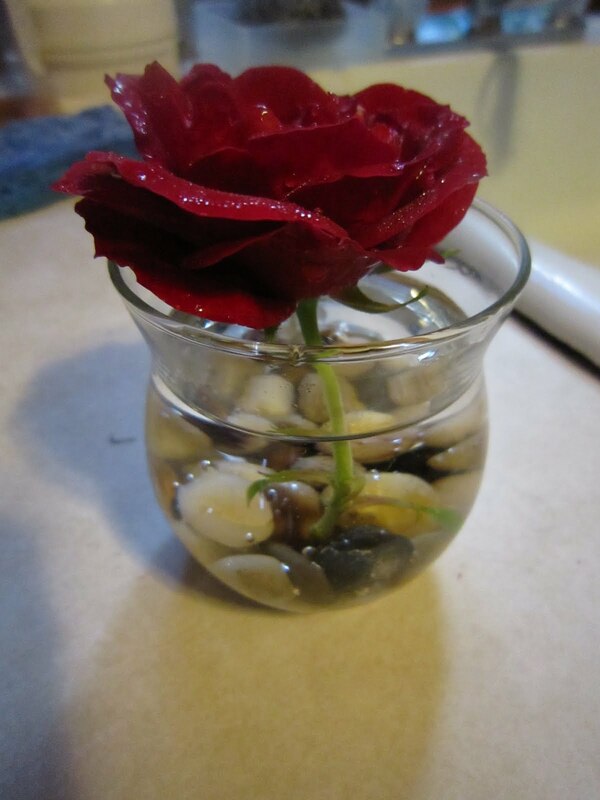 We have a red rose bush in bloom which had lots of flowers, but none of them had long stems. 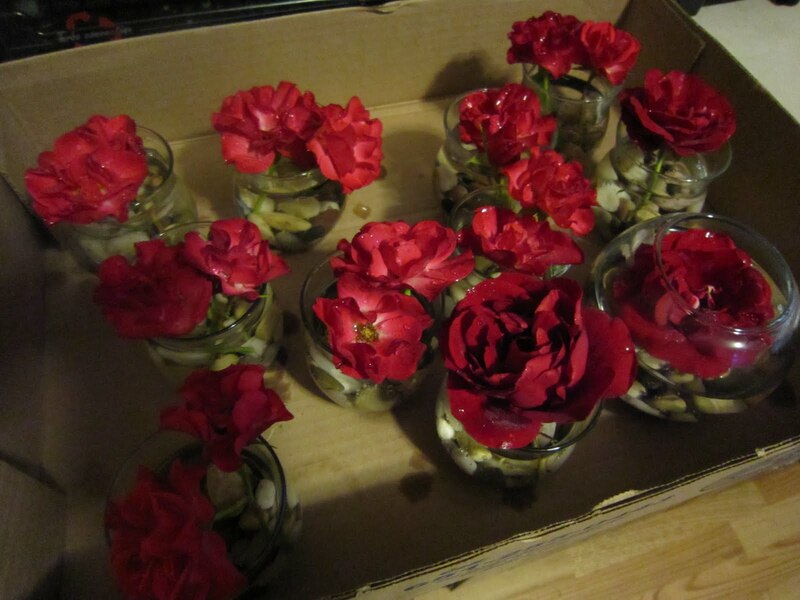 To work around this, I got lots of small vases (actually votive candle holders, very inexpensive), so the roses would seem to be the correct size. 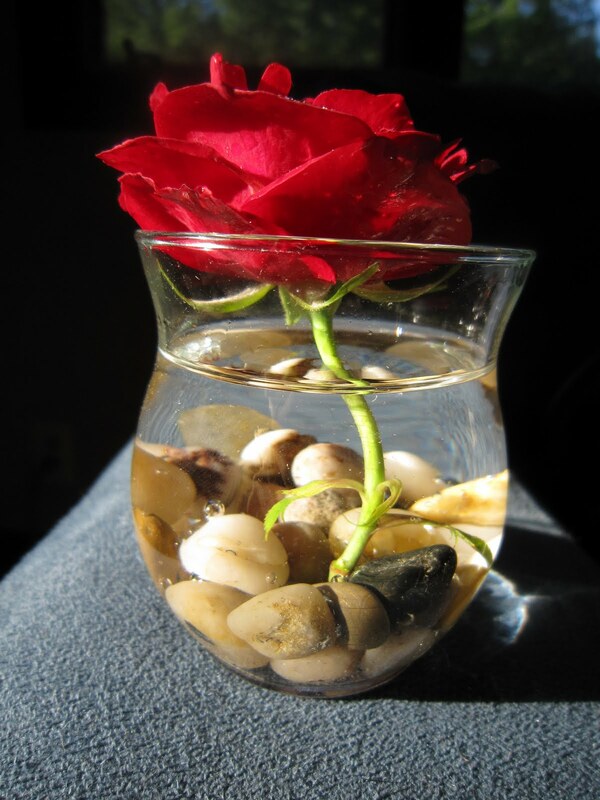 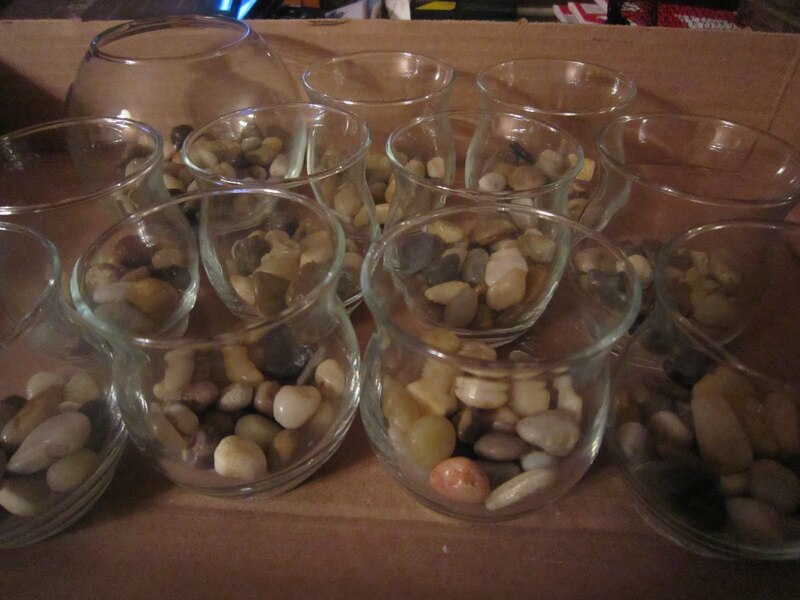 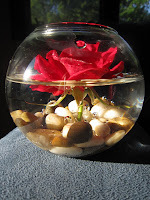 To make it a little extra classy, I put polished river rocks (the sort of thing you would find to fill vases/glass lamps/etc at pottery barn) at the bottom of the vases. 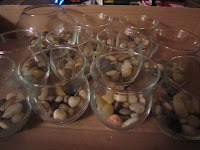 I had considered glass jewels or the like, but decided it would be too ostentatious. All Cut Flower ideas here.